On Sundays I gather up my crew and we drive off to a church near my place. My kids like it because they get to go off to a separate area for teenagers. I like it because there's a sense of connectivity there that helps me have peace as I sit alone but next to strangers who are just as happy to sit there and listen as I am. I don't have to hear the two kids arguing over who is looking at who funny. I don't have to navigate the unpleasantness of people who sit in the office where I go during the week. I can just sit and listen as the melodic sounds of music flow to my ears and I hear the words of encouragement from our speaker of the week. This all sounds so pleasant and almost too good to be true right? Today's words came with an all too familiar cliche' included "birds of a feather flock together." As I tried to pay attention, I couldn't help but to drift off in my head about how that flocking of sorts in the metaphorical phrase is typically looked at in a negative light. In fact, when I thought about negativity itself I thought about the other saying "one bad apple spoils the whole bunch." I began to ask myself why does the bad apple turn the bunch bad and not the other way around. Oddly enough I thought about how a tomato can be in the produce drawer of your refrigerator and when they emit ethylene gas as many types of produce can, they cause other things in the drawer to ripen too fast and spoil if you're not careful. So is that what happens in offices, families and schools? Are people somehow giving off a gas type of energy that causes good moods to go bad quickly? Truth is, I don't know why negative attitudes tend to weigh on us to the point they often change our attitudes. I do know, however, we are in complete control of making sure we don't let them do so. There's always that one person who is just negative. They seem to turn everything into something that is problematic. They come to work, family events, etc and have to say something negative about almost everything. They ooze pessimism and they give you that "icky" feeling on the inside. Sometimes it's the co-worker right next to you and you go home wondering why you hate your job so much. It could be the lady on the church committee or board you're on and each time you finish a meeting you feel like it was a useless waste of your time. Negative people weigh on your spirit. They remind you of all of the things in your life you COULD complain about but often don't. They remind us of all the wrongs that have happened and those that could happen. They tap into our anxieties and our fears. They often force feed us worst case scenarios even on the sunniest days. They are like a contagion that continues to spread all over the world. In today's world where we are constantly seeing acts of violence, race relation concerns, financial concerns and injustices, it is easy to get caught up in the web of this contagion. You don't have to though. We can usually identify these folks who are simply energy suckers pretty easily. Keep the conversation positive when the come around even when they try not to. Often this will make them go on about their business since they can't draw you into their misery loves company scenario. 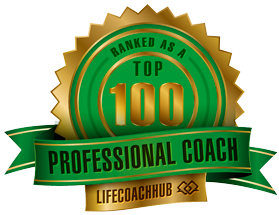 I've found myself throwing on the coaching hat many times and sitting in shock hen people become frustrated and walk away. When they start with the negative talk I ask questions like "so what would you like to do to fix that, why is that important now, how can you look at that more positively and so on." It's not always easy for me to remember to do this because coach or not, I'm human too. When life throws me a curve ball good old negative Nelly or negative Bob seems to show up almost instantly. It's like they have bad day radar and there's some secret society of "make their day worse incorporated" that pushes them your way. Yes, I know that was a silly statement. It just goes to show thought that the old saying about Murphy's Law "whatever can go wrong will" seems to apply when you're having rough day and one of the negative people is in your circle. Keep your head up high and keep your eyes out for these folks. Whether negative attitudes, negative behaviors or even destructive behaviors, don't let them spread your way. Stay focused on the positive as much as you can.